Breakfast is one of those meals where it’s hard not to go with one of the regulars such as bagels, donuts, or cinnamon rolls. Anything outside of that and you are likely to start a riot. Tia was bold and went for an english classic. While it’s true, if you add white chocolate and raspberries to anything, you’re making it a safer bet. But there is still a chance a scone won’t cut it. After fielding tons of questions about “what is a scone?” the group gave it a favorable rating. This biscuit like, handheld, breakfast treat had a nice crust on the outside and was soft in the middle. Some scones have the tendency to be dry, but this stayed moist. Almost like a well-baked muffin. It didn’t require any of the traditional toppings such as butter or honey because it held up all on its own. Scones are some of the easiest breakfast treats to whip up. Go ahead. Be brave. Break the breakfast mold and try this delicious treat. 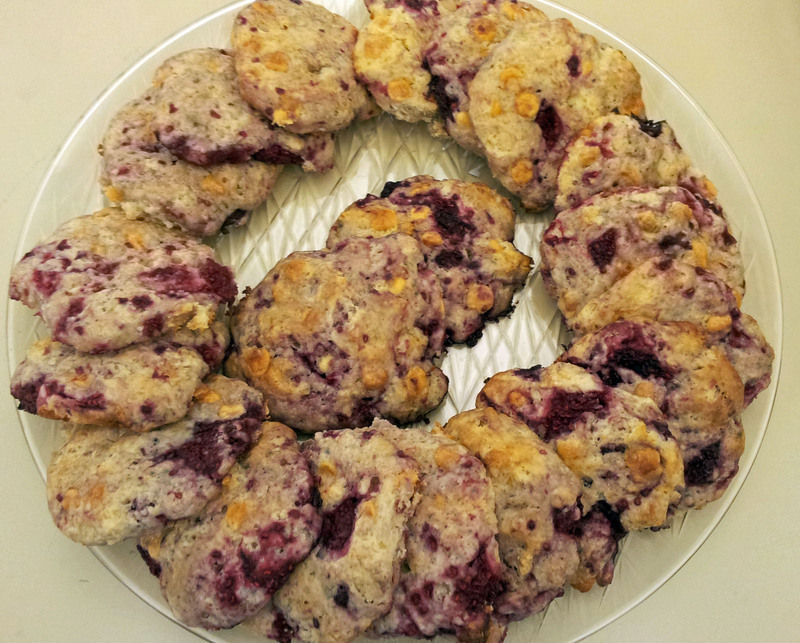 If you’re not sure where to start, here’s the recipe for this one: http://www.rockrecipes.blogspot.com/2012/02/raspberry-white-chocolate-scones.html Then try your own variation.